It may be midday in the middle of a cold winter week (well, here in the UK anyway) but here to blast away the blues is bit-tech's latest Christmas Countdown Competition. For those unfamiliar, bit-tech is giving away a prize every weekday between now and Christmas, with just an email entry required to be in with a chance to win. Yesterday's competition is now closed - winners being announced soon - so without further ado, let's see what today has to offer. 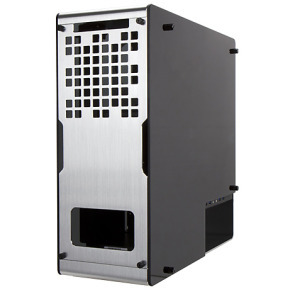 Up for grabs on day three of our giveaway is a stunning In Win 904 case. 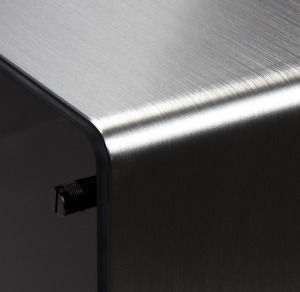 This is quite simply one of the finest looking cases currently on the market, with its wraparound aluminium chassis and smoked-glass side panels. Think of it as a more restrained version of the company's dazzling In Win Tou. 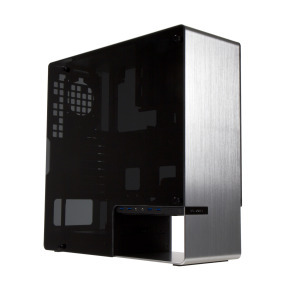 Designed to fit ATX motherboards, as well as its glass sides it features a number of other unique features. First is the open section at the base of the front. 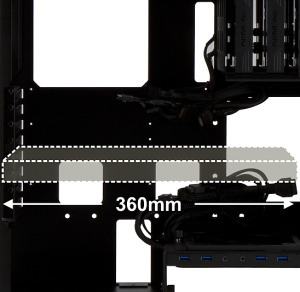 This not only provides somewhere to hide your pencils but also allows for the optical drive to be mounted at the back of the case, keeping the front clear of cutouts and other clutter. It also has a rear IO back panel cover to again keep visible clutter to a minimum. We're yet to get one of these cases in for review but are expecting one any day! What length graphics card can the In Win 904 accomodate? Simply email your answers to competition@bit-tech.net, putting "Christmas competition 3" as the subject/title. · Please include your contact details (shipping address, contact telephone number and full names) in the email. · This competition is open to all bit-tech readers worldwide. · Prizes cannot be swapped for a cash alternative. · Emails must be received by midday (GMT) 5th December 2013 to qualify. · By entering this competition, competitors will be deemed to have accepted and agreed to be bound by the rules, and all entry instructions given are deemed to form part of the rules of the competition. · Bit-Tech’s decision over the winning entry is final. · Your email address and all other personal information will only be stored for the purpose and duration of this competition and will not be passed on to any third parties. · The winners will be informed by email. Computer Planet supplies the prize in today's competition. Win one of four SilverStone prizes! We've got four SilverStone prizes to give away to four lucky UK readers. Yoyotech is providing today's prize of an Asus Z87A motherboard.